Subscribe to the CutFoam.com.au newsletter to receive info and specials on some of your favourite products. 100% Australian Family Owned – For more than 25 years we have been 100% Australian family owned and operated. 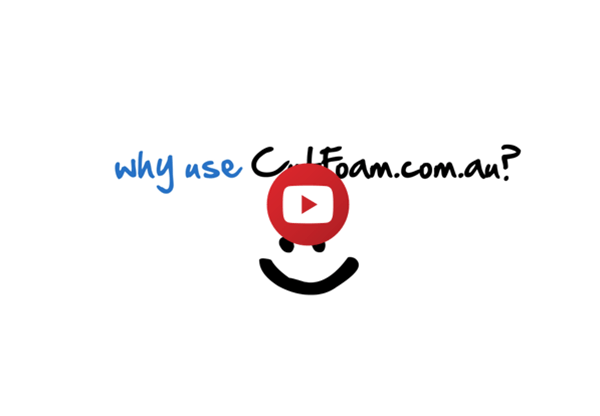 Australian Made Products – Our foam products are Australian made. This allows us to provide high quality, locally made products that meet Australia’s strict standards. Extensive Product Range – With over 3,500 square metres of warehouse space, we carry over 4000 products from high quality brands, in stock at all times, to allow you to source supplies without delay. Bulk Discounts – We sell products in a range of quantities and volumes. This means you can make significant savings by buying in bulk. Price Match Guarantee* – If you happen to find a cheaper advertised price on an identical stocked item, we offer a price match guarantee. 24 Hour Dispatch – We endeavor to dispatch all stocked items within 24hrs from order. Nationwide Distribution – With a selection of reliable freight carriers, we can quickly dispatch and track your order Australia-wide. Customer Service – Our friendly staff are here to assist you in-store, over the phone and via email. 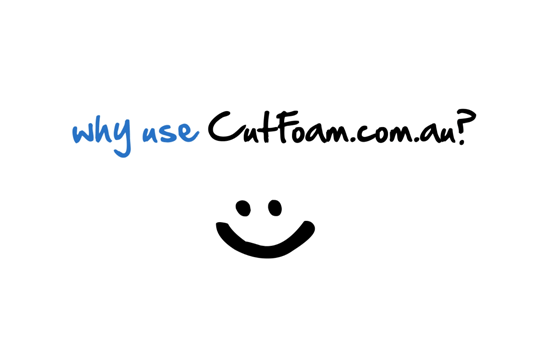 CutFoam.com.au is the retail division of a leading wholesale supplier of foam products. We are one of Australia’s largest suppliers of foam and have been supplying foam products to the Australian public and furniture industries since 1994. We really are the foam specialists; We specialise in custom cut foam, foam sheets and ready-made foam products. We have a wealth of experience with different foam grades and applications, allowing us to make reliable recommendations about what product would best suit your requirements. Foam is a very technical product and a number of factors (density, firmness, cell-structure etc) need to be considered when selecting the ‘correct’ foam. We pride ourselves on providing an extensive range of high quality Australian-made products and services to meet your needs. We have a reputation for providing ‘good old fashioned service’ and friendly advice. Our staff are eager and equipped to share their time and expertise to help you find the right product for your requirements. Our premises are located at 7 Ferngrove Place, Chester Hill NSW 2162 . Our warehouse is fully stocked and our showroom has a large number of foam samples to make selecting a foam grade easier. Please browse our range of ready-made foam products and supplies and use our interactive cut foam price calculator. Alternatively if you can’t find what you’re looking for, contact our friendly customer service team on 1300 CUTFOAM (1300 288 36) and we will do our best to find the foam solution that’s right for you. Almost impossible to find UK-sized cot mattress in Australia. You saved my sanity! Thanks a million guys! Thanks so much for getting the right cushion to me so quickly. Your service is outstanding. Hey guys, received my order today, congratulate you on your excellent service, thank you very much, Graham.